The jumping off point for my summer vacation with the Sweet Partner in Crime was Vancouver. Neither of us had ever been up to that particular area of the Pacific Northwest, and we’d heard that it was a really cool city. We weren’t disappointed. We ate and drank like royalty when we weren’t putting considerable miles on our shoes and the tires of rented bikes. One of our missions for our time in Vancouver was to become acquainted with the wines of British Columbia. As you know, we’re big fans of the wines of Oregon and Washington in this space, and it seemed logical that wine grapes shouldn’t be constrained by silly things like national borders. 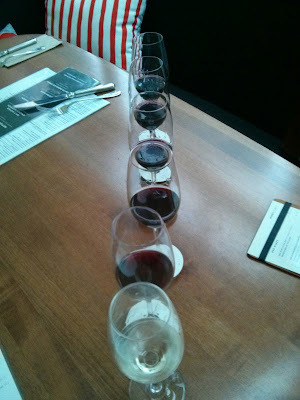 At our various stops around the city, we tried to sample wines from across the region. “Wines from Canada? Never heard of them,” could be crossing your mind. I wouldn’t be surprised. British Columbia’s total wine grape production in 2014 was about 1/6 of the production of the state of Washington alone. BC wine is prized across Canada. About 80% of BC wine is consumed within the province, while about 15% is distributed across the rest of the country. Only about 5% of the total production is exported. Why worry about it? Because these are pretty damned good wines! And production in BC has been gradually increasing – more than doubling in the last 10 years. Which means, I hope, that more of these wines will start showing up on US shelves. A quick primer on wines from British Columbia, in case you run into them. The province has a designation, BC VQA, which stands for British Columbia Vintners Quality Alliance. This designation means that the wine has met certain standards of the region. In this case, a wine labeled BC VQA must be made from 100% BC grapes, 95% of which must come from the region designated on the label. (More on that in a sec.) The varietal listed on the label must comprise at least 85% of the wine’s composition. If it says “Merlot,” for instance, it’s at least 85% Merlot. Also, 85% of the grapes must be produced in the vintage on the label, which is somewhat different than most countries – in which most blends of grapes from different years would not carry a vintage date. There are six major wine growing regions in British Columbia. The largest and best known is the Okanagan Valley (pronounced Oak-A-Noggin), which is about a five hour drive east of Vancouver towards the Interior, which is why we weren’t able to make it there on this trip. The bulk of BC wine comes from this region. Vancouver Island and the Gulf Islands at the southern tip of V.I. are also major producers. Merlot is the most planted red varietal, followed by syrah, pinot noir, cabernet franc, and cabernet sauvignon. Among whites, you’ll find pinot gris and chardonnay leading the way, followed by gewurztraminer, riesling, and sauvignon blanc. The wine styles are fairly consistent with the cool climate wines you would ordinarily find in Oregon, Washington, and along the Sonoma Coast. 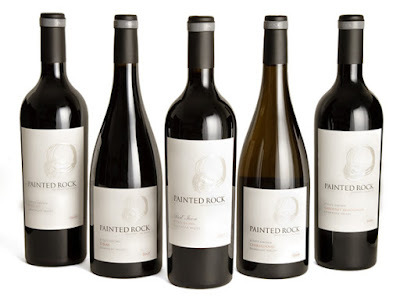 Painted Rock 2010 Syrah – Hooboy, this one’s a biggie. Like the merlot, it really needed some time and space in air to get at the flavors. Decant early! I think the SPinC was intimidated simply by the pour of this wine. It’s some seriously thick, inky juice. After enough time in air, the nose becomes quite pleasant, full of violet and plum. Don’t let the soft nose fool you. This Syrah makes me think of a steroidal Chateauneuf-de-Pape. Big, dark fruits and a sizable whallop of tannins greet you in a hurry. I didn’t find it out-of-balance at all, but it’s not for the faint of heart. We had it with a roasted chicken and potato dish, and it was a little too big. Divine with chocolate, though. The SPinC, who is currently palate-wise calibrated for summer wines, just slid it aside. More for me! I quite enjoyed it. 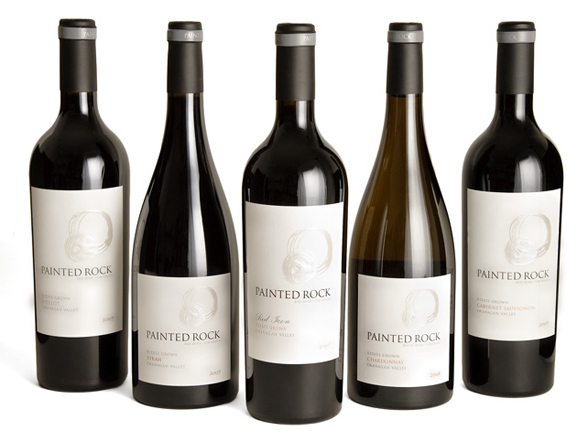 Painted Rock 2010 “Red Icon” – The Red Icon was, far and away, our favorite of the three wines. This is a beautifully balanced red, made from a traditional Bordeaux blend (merlot, cab franc, petit verdot, malbec, and cabernet sauvignon in order). The nose is full of blackberries with a really pretty floral undertone. The flavor is full of cherries and plums, and it’s potent without being overpowering. The tannins are certainly firm, but they keep to the back, allowing the fruit to really shine, along with some strong vanilla notes. The finish is a lasting balance of leather, dark fruit, and smoke. I think this wine’s right in its wheelhouse right now. We opened this over Labor Day weekend and had it with some burgers from the grill. Grilled meat and this wine get along famously. The Merlot and Syrah are both about $28-30 US. The Red Icon, which I really highly recommend, goes for about $35-40. 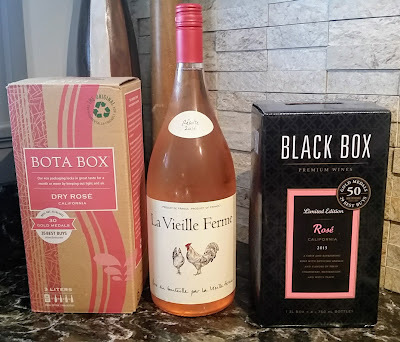 Some others that we really enjoyed along the way were the Blue Mountain Gamay Noir, which tasted like a cru Beaujolais; and the Tyler Harlton Pinot Noir, which was brambly and earthy – just the way we like it. There were also several nice whites that we had a chance to sample, the best of which for me was the Kanazawa “Nomu” -- a luscious blend of viognier, semillon, and muscat blanc full of creamy citrus, orange blossom, and peach flavors that was absolutely delicious next to some fabulous sushi at downtown Vancouver’s Shuraku Sake House. If you get a chance to try some of these north of the border selections, do so. With the unpredictability of climate change will be doing to many of our domestic wine regions – these BC wines may soon emerge as an interesting alternative. Keep your eyes peeled.